Every year scholars from all parts of the world use the Center for Southwest Research and Special Collections. These are few of the publications that featured CSWR archives. Waters, Frank, and Alan Louis Kishbaugh. 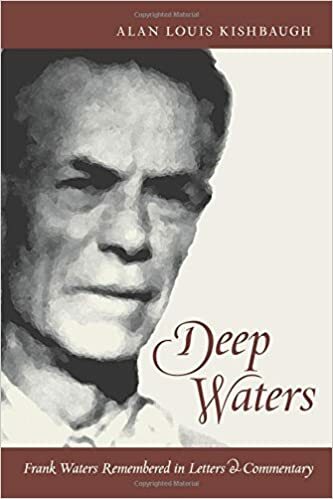 Deep Waters: Frank Waters Remembered in Letters and Commentary. Albuquerque: University of New Mexico Press, 2017. He included several of Frank’s letters as found in the Frank Waters Papers at CSWR. Roybal, Karen R. Archives of Dispossession: Recovering the Testimonios of Mexican American Herederas, 1848-1960. Chapel Hill: University of North Carolina Press, 2017. She used the Fabiola Cabeza de Baca Gilbert Collection. Lentis, Marinella. Colonized through Art: American Indian Schools and Art Education, 1889-1915. Lincoln: University of Nebraska Press, 2017. She used the Richard W. D. Bryan Family / Indian School Papers. Kessell, John L. Whither the Waters: Mapping the Great Basin, from Bernardo De Miera to John C. Frémont. Albuquerque: UNM Press, 2017. He used his own collection and Eleanor B. Adams Collection. Hendrickson, Brett. The Healing Power of the Santuario de Chimayó: America's Miraculous Church. New York: NYU Press, 2017. He used Tomas Atencio and John Sinclair Collections. 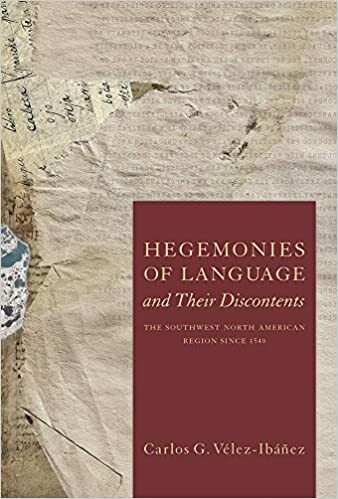 Vélez-Ibáñez Carlos G. Hegemonies of Language and Their Discontent: The Southwest North American Region Since 1540. Tucson: University of Arizona Press, 2017. He used CSWR Spanish colonial sources and worked with Archivist Samuel Sisneros who provided guidance and transcriptions.